Isle Of Man – Slow Down! I just picked up this poster from 1976. It is from the Isle Of Man races. 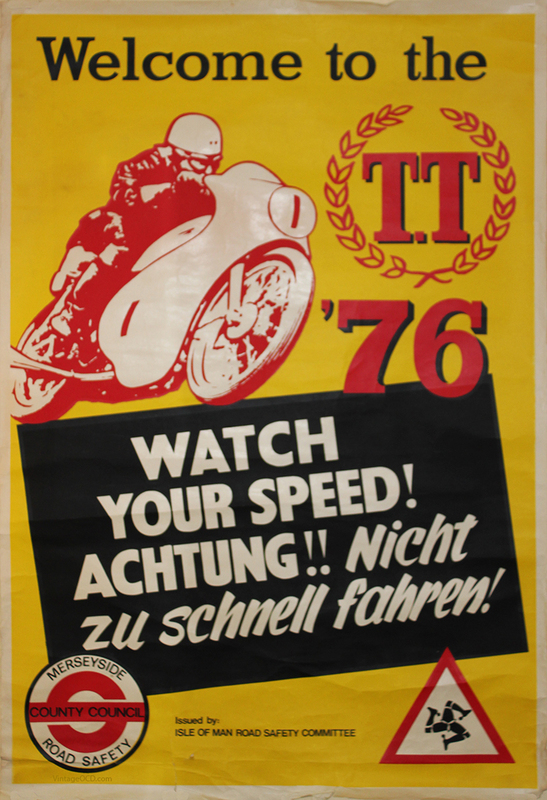 The poster was produced to try to encourage drivers along the raceway to slow down so they did not collide with the Isle Of Man motorcycle racers. This entry was posted on Thursday, March 21st, 2013 at 4:03 pm	and tagged with cafe racer poster, Isle Of Man Poster, motorcycle racing poster, vintage motorcycle poster and posted in Uncategorized. You can follow any responses to this entry through the RSS 2.0 feed. We’re did you get the poster from ? I purchased it from a vendor in Manchester, England via the interwebs.